Manchester United’s Premier League clash with West Ham on Sunday afternoon ended in a draw, despite the Red Devils dominating the game and creating an abundance of chances. It was a frustrating afternoon for the Reds, which ended in Paul Pogba picking up a suspension and José Mourinho being sent to the stands. United started the game in terrible fashion, going 1-0 down after just 90 seconds, courtesy of Diafra Sakho. Dimitri Payet swung the ball in from a deep free-kick, and the Senegalese international headed home. West Ham’s lead did not last long, however, as Zlatan Ibrahimovic equalised in the 22nd minute. The Swede drifted off the shoulder of James Collins in the box, and expertly headed in Pogba’s delivery. 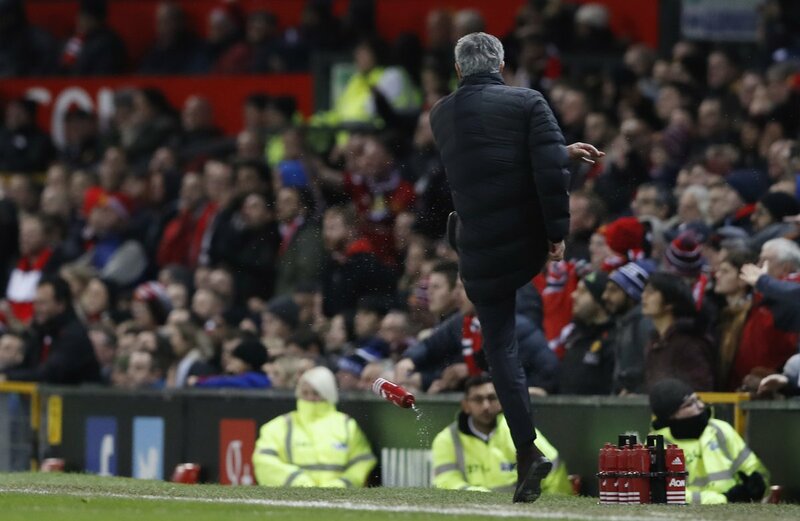 There was a controversial twist to the game minutes later, when United boss José Mourinho was sent to the stands for kicking a water bottle. His frustration was over Pogba being booked for simulation, and as it was the Frenchman’s fifth yellow card of the season, he will miss United’s EFL Cup clash with West Ham on Wednesday. Marcus Rashford had a huge chance to give his side the lead in the 36th minute, when he broke through on goal with only Darren Randolph to beat. Despite this, the West Ham keeper was up to the challenge presented by the teenager, and saved well down to his right-hand-side. The next chance of the game fell to Ibrahimovic, but he was denied by Angelo Ogbonna’s last-ditch flying tackle. Just seconds from half-time, Randolph was called into action again, and produced a wonderful save to deny Jesse Lingard, keeping the score level heading into the break. United thought they had found their winner after a frustrating second-half, but Jesse Lingard’s simple finish was flagged offside by the linesman. Moments later, Pogba’s strike from range put Randolph to the test, but the keeper was equal to it, saving well. West Ham had their fair share of chances in the closing moments, and former United youth player Ashley Fletcher was denied by David de Gea after wriggling through the home side’s defence. The result marks United’s fourth consecutive home draw, yet they will feel hard done by after a particularly impressive first-half performance.